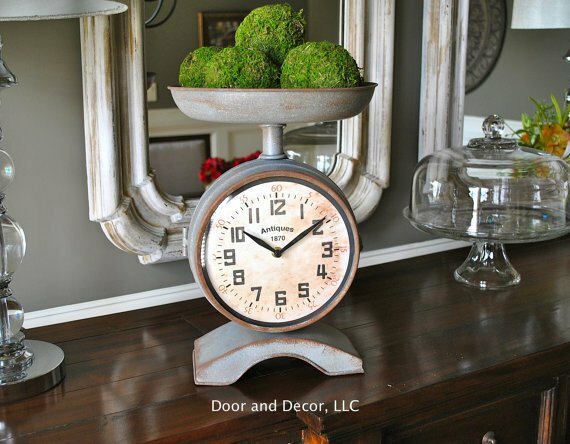 You are here: Home » decor tips » Unique Clocks – The Perfect Holiday Gift! 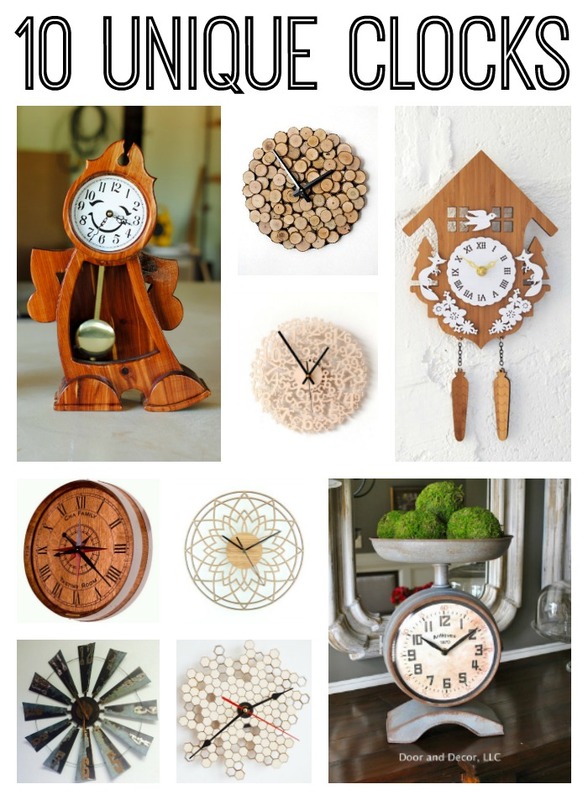 Unique Clocks – The Perfect Holiday Gift! 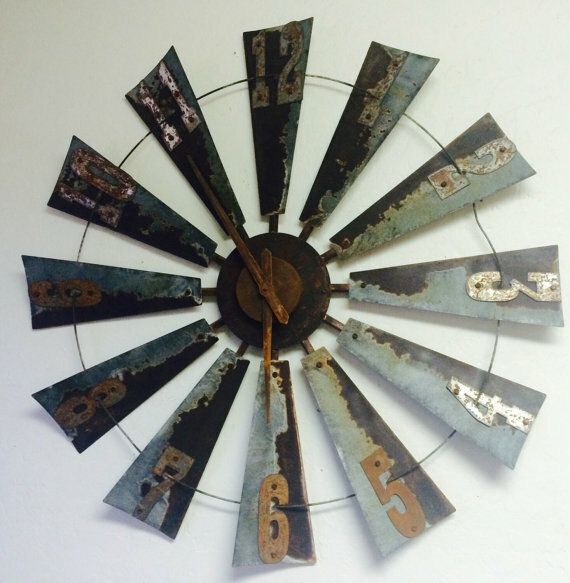 Unique clocks make a statement in your home and a perfect holiday gift. I have gathered a few of my favorites from Etsy below. I love to give handmade….even if I don’t actually MAKE the item. Etsy is the perfect way to accomplish that task. 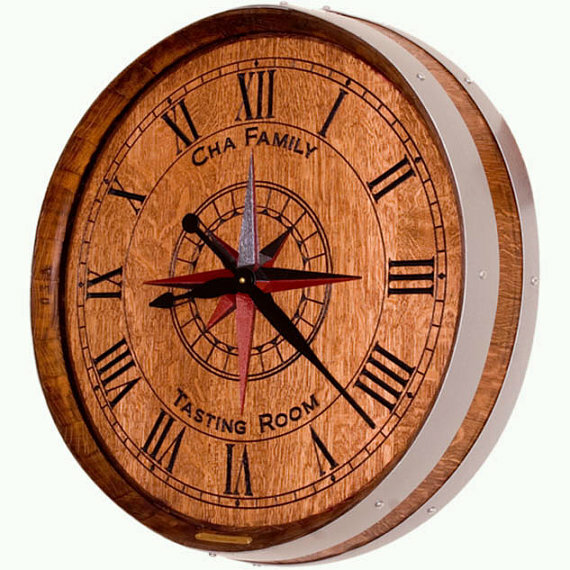 Enjoy this collection of unique clocks and pick up one as a gift or for your own home. I am linking to each clock below with an affiliate link. This means you do not pay anymore but a portion of your purchase will go to support this site. Just click the link above each picture to be taken to the listing on Etsy. This one is perfect for a wine cellar or a kitchen for a person that loves wine! 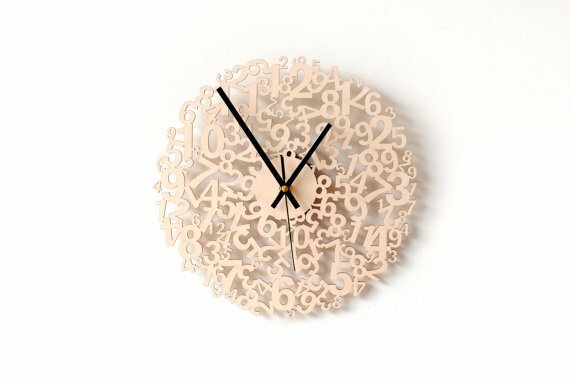 Make your own clock with this kit made from paper and cardboard. 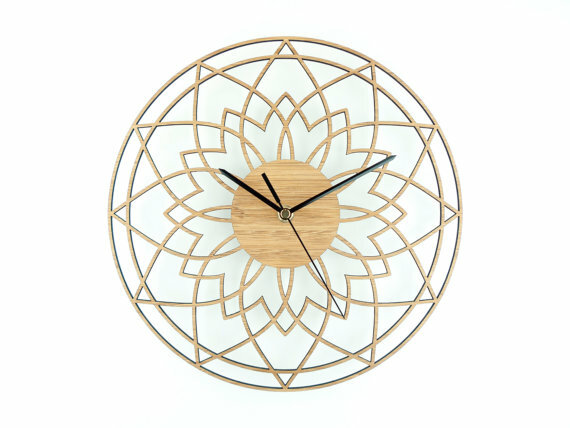 Plus you get a gorgeous clock in the end. Love that farmhouse style? Try this clock made from a windmill. This simple clock really caught my eye! I love the wood cut out. 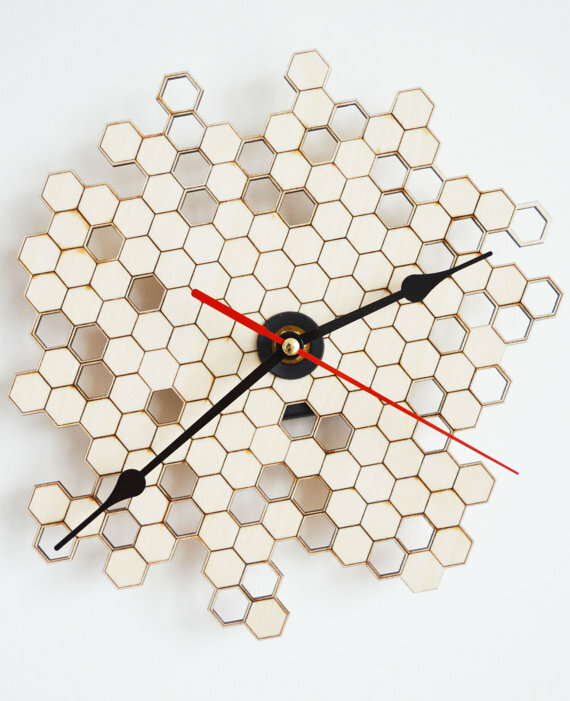 Honeycomb is a really awesome shape and this Etsy seller really made it something special. Okay if you love Beauty and the Beast, you will love having your very own Cogsworth clock. This clock is a little different but so unique! It will be the center of conversation in your home. I love the look of an old scale in a farmhouse. Now you can get one that has been turned into a working clock. This idea is so simple but it just looks gorgeous. Perfect for a rustic touch to your home or even a cabin. 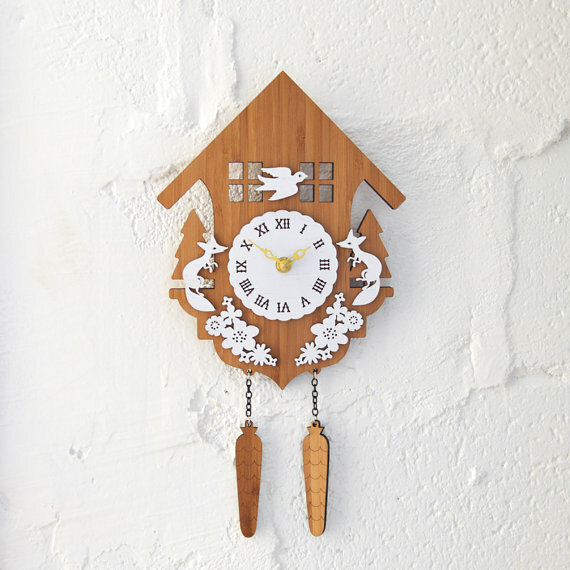 The cuckoo clock is a classic but this Etsy seller has managed to add a modern spin. 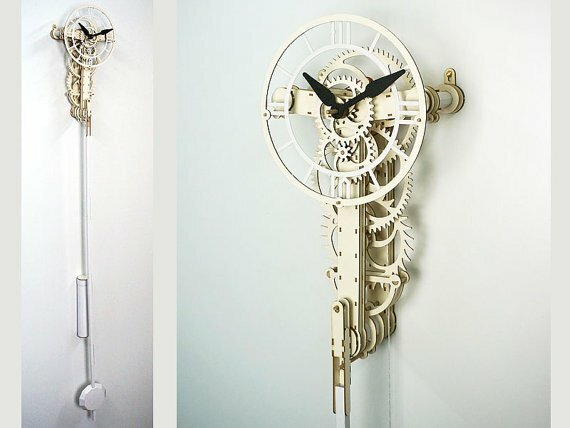 I hope you love all of these unique clocks as much as I do. 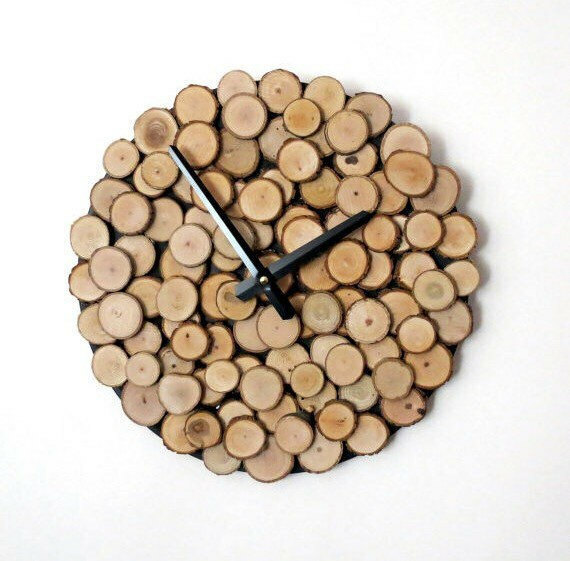 If you want to try to make your own version instead of buying it, try one of these DIY clock ideas. 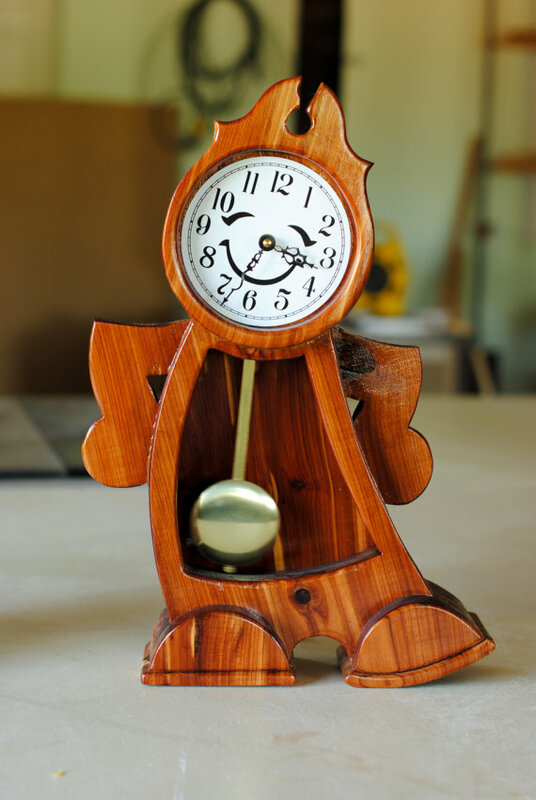 Whether you choose to make or buy, I am sure your gift recipient will love the gift of a handmade unique clock this holiday season or anytime of the year.